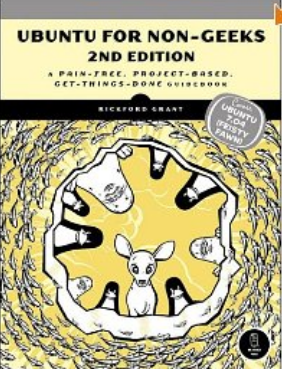 There are two new books about Ubuntu, the most popular of the free versions of the Linux operating system: “The Official Ubuntu Book, fifth edition,” and “Ubuntu for Non-Geeks, third edition” come with the latest version of Ubuntu on a disk in the back. The second book, the one for Non-Geeks is easier to follow and the best choice for beginners. Both books list for $35, but prices are normally cheaper at Amazon.com and other online sellers. Ubuntu is often touted as an alternative to Windows because there are so many free software programs that work with it. It is also free itself, which of course Windows is not. Ubuntu is also a good way to rescue a computer that has a corrupted operating system. Insert the Ubuntu disk in the DVD drive and that computer should start up like a bat out of somewhere scary. It will also be very stable, and you can then load in any other operating system you want. An objection to using Ubuntu or any other version of Linux used to be that your peripherals, things like camera cards and printers, might not work with that system. This used to be a common problem but is rarely true today. There are websites you can go to and check if your equipment is compatible with a Linux system. For printers, scanners and cameras, for example, you can go to openprinting.org or tinyurl.com/ubuntuthings.